Keywords: slash wounds, Khopesh, Edwin Smith papyrus, Ancient Egyptian medicine, knife wounds. The Edwin Smith papyrus is the oldest known surgical treatise, thought to have been written in 1700 B.C. It was first discovered in Luxor in 1862 and was first translated from hieroglyph script by Egyptologist, James Henry Breasted in 1930. The papyrus details forty eight traumatic injuries which are topographically organised and considered formulaically through examination, diagnosis, prognosis and treatment. The Khopesh was an ancient Egyptian sickle shaped sword which was thought to have been used to inflict a slash-type sharp force injury during battle. Treatment of these slash-type wounds as described in the Edwin Smith papyrus are compared with the current treatment of equivalent slash-type injuries, commonly knife wounds in the twenty first century. Comparison of a variety of components involved in the treatment of historical and modern slash-type sharp force wounds has illustrated that despite advances in medical practice, some of the basic principles of our current treatment regimes are derived from practices established thousands of years ago by the ancient Egyptians. Howard, D. Bronze Age Military Equipment. Barnsley: Pen and Sword; 2011. Wise, T. Ancient Armies of the Middle East (Men-at-Arms): 109. Oxford: Osprey; 1981. Saukko, P. and Knight, B. Knight’s Forensic Pathology. 3rd ed. Oxford: Oxford University Press; 2004. Payne-James, J., Jones, R., Karch, S. and Manlove, J. Simpson’s Forensic Medicine. 13th ed. Florida: CRC; 2014. McCallum, J.E. Military Medicine: From Ancient Times to the 21st Century. California: ABO-CLIO; 2008. Sigerist, H. A History of Medicine: Volume I Primitive and Archaic Medicine. Oxford: Oxford University Press; 1987. Fielding Hudson Garrison. An Introduction to the History of Medicine. 4th ed. Philadelphia: W.B.Saunders; 1929. Breasted, J.H. ed. The Edwin Smith Surgical Papyrus. Chicago: The University of Chicago Press; 1930. Nagy, K. Discharge Instructions for Wound Cares. The American Association for Surgery of Trauma. Chicago, USA; 2013. Available at: http://www.aast.org/discharge-instructions-for-wound-cares [Accessed: 18 November 2015]. Ozer, T., Eryilmaz, M., Coskun, K., Demirbas, S., Ihsan Uzar, A. and Kozak, O. A New Method For Hepatic Resection And Hemostasis: Absorbable Plaque And Suture. 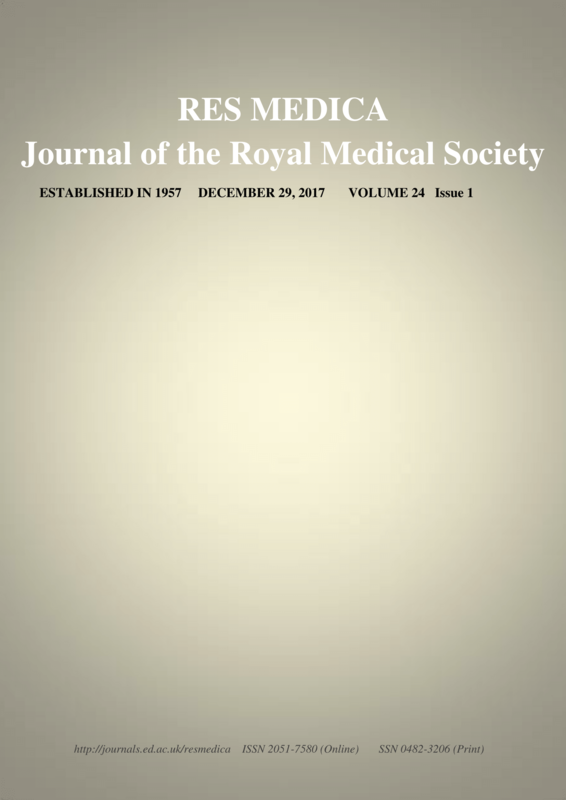 Eurasian Journal Of Medicine. 2010; 41 (1): 1-4. Forsch, R. Essentials of Skin Laceration Repair. American Family Physician. 2008; 8: 945-95117. World Health Organisation. Wound Management. Switzerland: WHO; 2009. Available at: http://www.who.int/surgery/publications/WoundManagement.pdf [Accessed: 6 November 2015]. Fuster, V., and Sweeny, J. Aspirin: A Historical and Contemporary Therapeutic. Circulation. 2011; 123: 768-778. Vlachojannis J., Magora F., and Chrubasik S. Willow species and aspirin: different mechanism of actions. Phytotherapy Research. 2011; 25: 1102-04. Strouhal, E., Vachala, B., and Vymazaolva, Z. The Medicine of the Ancient Egyptians. Cairo, Egypt: AUC; 2014. Nunn, J.F. Ancient Egyptian Medicine. London: British Museum Press; 1996. Crawford Adams, J. and Hamblen, D. Outline of Fractures: Including Joint Injuries. London: Churchill Livingstone; 1999. Cruz, W., Oliveira, A., and Magalhães, J. Marked differences in behaviour of arterial and venous blood in haemostasis. Journal of Physiology. 1958; 142: 242-250. Bhattacharya, S. Wound Healing Through the Ages. Indian Journal of Plastic Surgery. 2012; 45: 177–179. Seckam, A., and Cooper, R. Understanding how honey impacts on wounds: an update on recent research findings. Wounds International. 2013; 4: 20-25. Molan, P. C. A brief review of the use of honey as a clinical dressing. Primary Intention. 1998; 6: 148-158. Ellis, H. A History of Surgery. London, UK: Greenwich Medical Medial Limited; 2001.